Rapid change from digital disruption, rising automation, advanced robotics and artificial intelligence is transforming not only the world we live in, but the skills we need to thrive professionally. However, 84% of digital transformation projects are failing. The focus too often is on the technical solution, not the human one. Successful digital transformation involves being customer centric, agile and data-driven with technology showing the path, but not setting the direction. This course is designed for Marketing, Sales & Customer Service professionals who are looking to learn how to successfully implement customer centricity through customer journey mapping and automation. 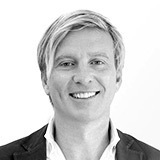 Will is a Co-Founder and Director at Data Scouts, a specialist digital transformation training company which helps brands such as Macquarie Bank, Specsavers, IAG, Volvo, Australian Super and World Vision develop their internal talent with new skills and capabilities in an effort to drive successful digital transformation. Will serves on the boards of Pascal, a natural language generation software platform that generates human sounding automated insights using AI and machine learning and Datarati, Asia-Pacific’s digital transformation & customer journey agency which manages the data and automation for Virgin Mobile, Volkswagen, Sensis, Kathmandu and Roche. Will started the Eloqua (Oracle Marketing Cloud) software business and the Marketo software business in the Asia-Pacific region, building out the marketing, sales, service and training teams and was responsible for the rapid revenue growth for both businesses across Australia & New Zealand. Marcus is a Co-Founder and Director at Data Scouts, Australia's most sought after digital transformation training and recruitment company. Marcus serves on the board of Yellow Canary, a software automation company which ingests and processes industrial relations data so that practitioners can quickly focus on the right data at the right time. Marcus is recognised as a leading advisor to Senior Executives and Board Directors in the Asia Pacific region. Marcus has extensive experience leading and driving digital transformation projects across a number of industries. Marcus is also an investor in a number of early stage technology and digital ventures providing executive coaching and senior level mentoring specifically in the areas of Automation, Digital Transformation, Lifecycle Customer Engagement and Regulatory Technology. 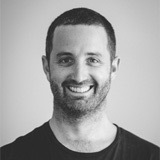 Marcus holds a Bachelor of Computer Science from the University of Wollongong. Successful digital transformation involves being customer centric, agile and data-driven with technology showing the path, but not setting the direction. Hear our highly experienced facilitator, Will Scully-Power, discuss what AIM's Digital Transformation Bootcamp covers and how it is critical in today’s fast paced business environment.